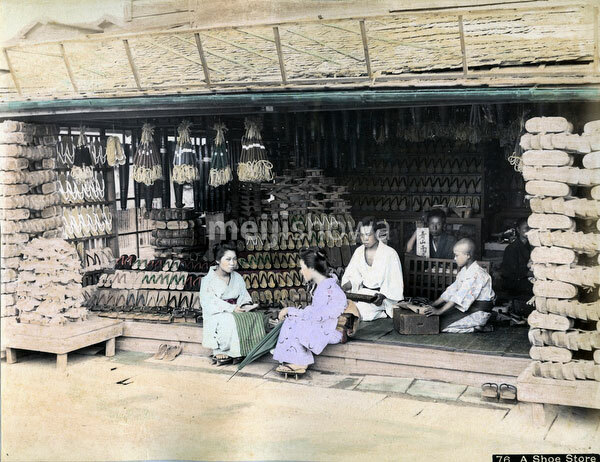 A shop selling geta, Japanese wooden shoe wear, ca. 1880s. The roots of geta go back to the Yayoi era, but they became especially popular in the Edo Period (1600–1868). Geta craftsmen offered a wide variety of geta, depending on the fashion of the time.